Nutritional surplus signaling: How it works and why it fails? We pursue multi-pronged investigations into how energy availability is sensed, communicated and integrated. 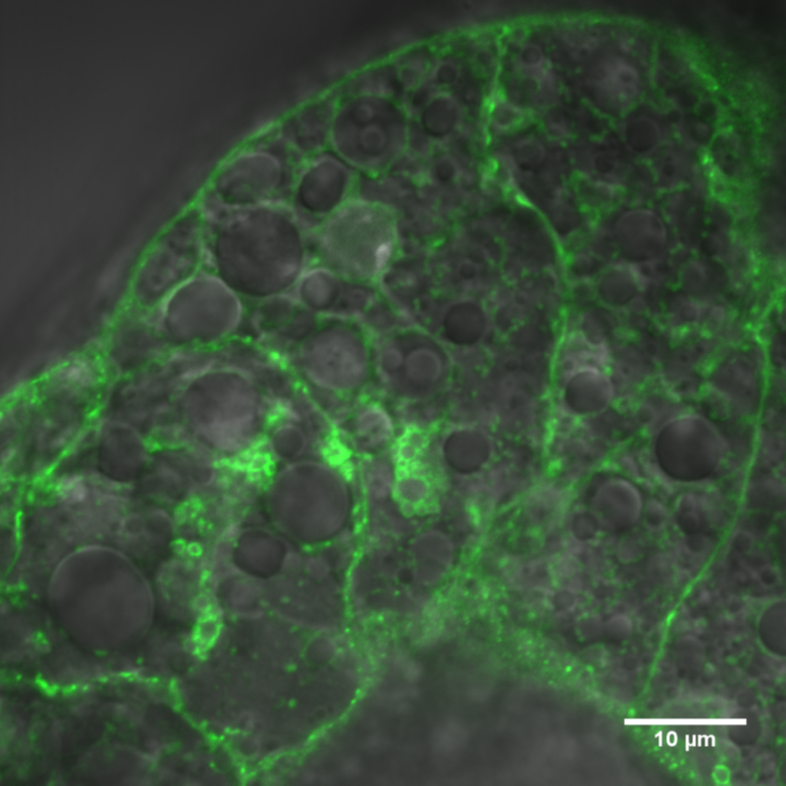 Fat cells communicate information regarding stored lipid levels to neural circuits. Neural circuits integrate physiological inputs, such as stored fat levels, to regulate organismal behaviors including hunger and exercise. Dysfunctions in fat to brain communication underlies obesity. Our goal is to understand how fat communicates nutrient status to the brain, and how chronic nutrient surplus disrupts this communication. Examining this complex question in a simple model system, such as the fruit fly, will provide fundamental insights that can be leveraged to tackle obesity. 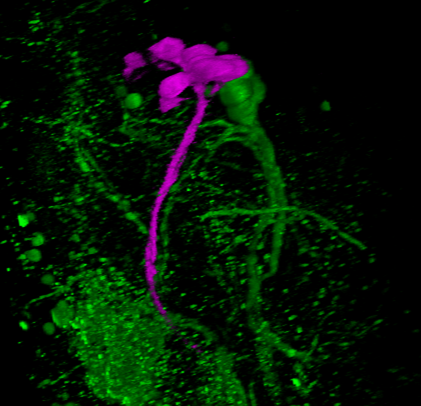 We investigate how adipokines regulate fat sensing neurons (green). We investigate how this adipokine travels from fat to brain.